Two of the 11 pumps in the Broadmoor pumping station are out of service, but the station still has most of its capacity — unlike the critically impaired stations in Lakeview, City Park and New Orleans East, officials said. 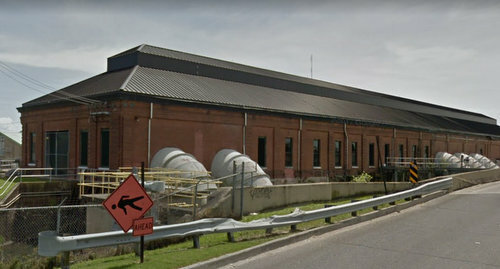 The two pumps that are out of service at the pumping station at 2501 South Broad Street have a combined pumping capacity of 285 cubic feet of water per second, according to a report posted this week by the Sewerage & Water Board of New Orleans. Most of the station’s other pumps have a much higher capacity — for a total of 6,825 when all are operating — so even with two out, the station is still at 96-percent capacity, the report states. The Lakeview station at 345 Orpheum has six of its 15 pumps out — including four with capacity of 1,000 cubic feet per second or higher — leaving the station at 54 percent capacity. One of the largest pumps at the City Park station at 5741 Orleans Avenue is out, leaving it at 63 percent capacity. Smaller pumps are also out of service at stations in New Orleans East and Algiers, impairing their capacity as well. The city has issued a request for proposals for the third-party analysis of the pumping system and the flooding crisis, according to an announcement Monday. The Sewerage & Water Board is also “finalizing a contract” with the CH2M firm to fix the broken turbines and pumps, the city announced.